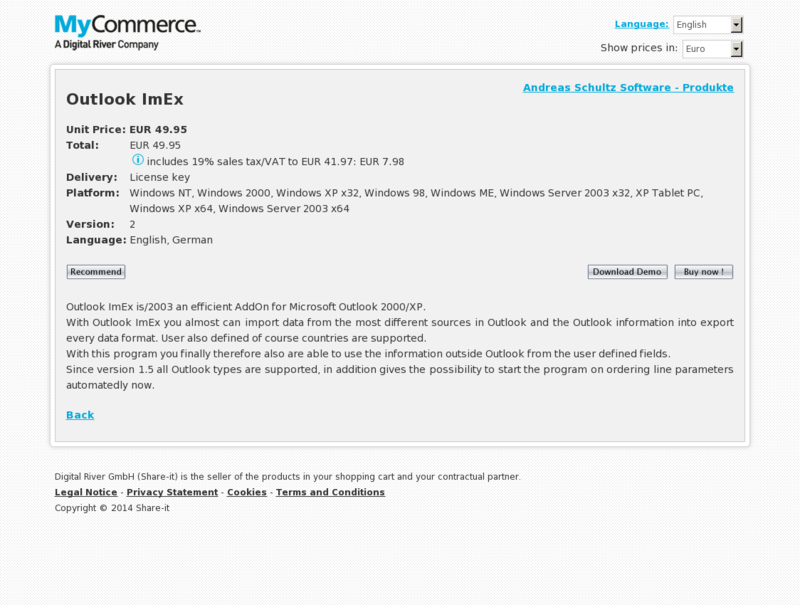 Outlook ImEx is/2003 an efficient AddOn for Microsoft Outlook 2000/XP. With Outlook ImEx you almost can import data from the most different sources in Outlook and the Outlook information into export every data format. User also defined of course countries are supported. With this program you finally therefore also are able to use the information outside Outlook from the user defined fields. Since version 1.5 all Outlook types are supported, in addition gives the possibility to start the program on ordering line parameters automatedly now.